We are happy to inform you about news at our language centre and hope you will enjoy reading our September 2018 newsletter! 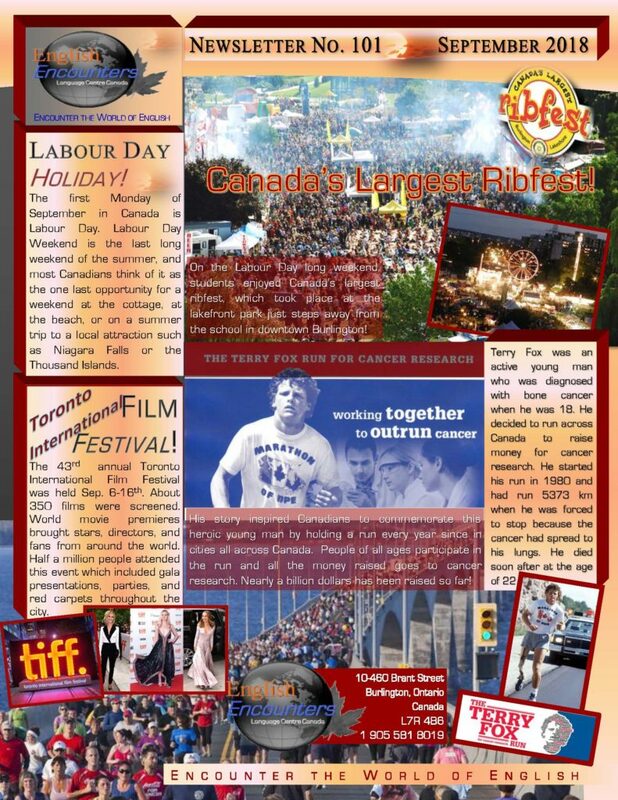 Inside our newsletter you will find information about the Canada Largest Ribfest in Burlington, Labour Day holiday, as well as the 43rd annual Toronto International Film Festival. If you have any questions about studying English with us, please contact us!